MOTIVATED SELLER!! 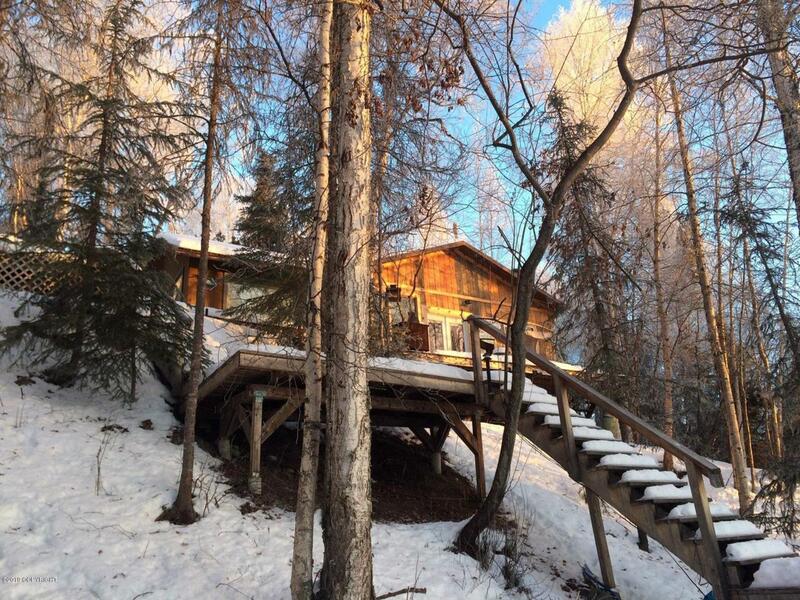 Hidden Gem on Flat Lake ; This place makes a great weekend retreat or live here year round. The cabin has gone through extensive construction updates. New Sono Tube foundation, exterior walls were replaced on 2 sides, windows replaced and more. The big projects are complete, just needs the interior finishes completed. Most supplies/appliances are there and come with the cabin.Kitchen: All the appliances are there, will need cabinets and counter tops Bathroom: The bathroom is complete, it features a stand up shower and an incinerator toilet (or use the outhouse) There is a nice sized vanity as well which makes getting ready just like home. On demand hot water heater is plumbed in and also hooked up to propane system and tank is full. Bedroom 1 - There is a large spacious master bedroom on the main floor, wake up to the view of the lake here. Bedroom 2 - Loft: There is a spacious loft style bedroom area above the living space which is accessed by a ladder. Room for two queens and maybe a few single beds. Tons of room for family/guests. Living/Dinning Area: The spacious open concept living area features huge picture windows to enjoy the lake from anywhere in the main living space. Dock: 2 Docks for ample boat/toy parking. There is also a 300 gal fuel tank which can be filled and used for ease to re-fuel all the toys! Heating: The main heat source is a Toyo stove on Fuel Oil, a Wood Stove is there if you prefer or for back up, and a couple of electric base boards as a back up source of heat as well. The propane is used for running the stove and running the dryer. There is electric and phone to the property. Water: The water is sourced from the lake and put through a filtration system (which is all there and needs installation completed) This makes it usable/drinkable in the cabin for the kitchen and bathroom. Endless opportunities for fun year round here. Bottom line this is truly a little hidden gem, you don't want to miss out on this one, Call today to arrange for your showing.